Episode 70 of the Skip To The End podcast is here! 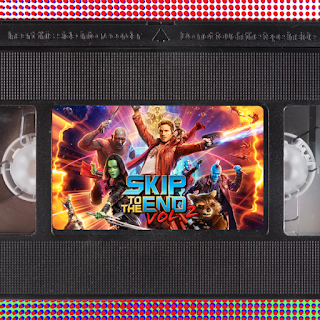 We lead this episode with a review of the highly-anticipated Guardians of the Galaxy Vol. 2, and a discussion of the most annoying characters in film history. We also rewatch controversial 90s drama Kids, and debate Daniel Day-Lewis' best performance. As usual we give away an assortment of exclusive prizes, answer listener questions, and launch our new game: Whose Tagline Is It Anyway? 01:26:52 Whose Tagline Is It Anyway?